The next morning, Ryan said, “I knew it was on her mind. All I had to do was call the school and talk to the [Military Family Life Counselor]." She also messaged the teacher, just to let them know that the day might be difficult for her daughter. “I knew when I let go of her that morning and left her [at school], that she had every support she needed … It’s the individual [child]. It’s the recognition of that, and knowing they have that support when they’re away from you that helps you do your job as a parent and helps your spouse do their job when they’re deployed,” Ryan said. Ryan was among military spouses who are parents of Shelton Park Elementary School students, in the audience during a panel discussion. About 70 percent of the students in the school are military-connected, making it the school with the largest percentage of military children in Virginia Beach City Public Schools. The nonprofit Military Families for High Standards brought the panel together to highlight the work Virginia Beach does to support its military students — and all its students. Virginia Beach was featured in a Lexington Institute report last year that highlighted their effective and innovative practices for supporting military children in the school system. After a school tour, the panel discussion centered around what the school — and others in the Virginia Beach City Public Schools — do to help military students not just in transition, but in dealing with other aspects of military life, like deployments. At Shelton Park Elementary School, there’s a full-time Military Family Life Counselor, funded by the Department of Defense, as well as a full-time school counselor. 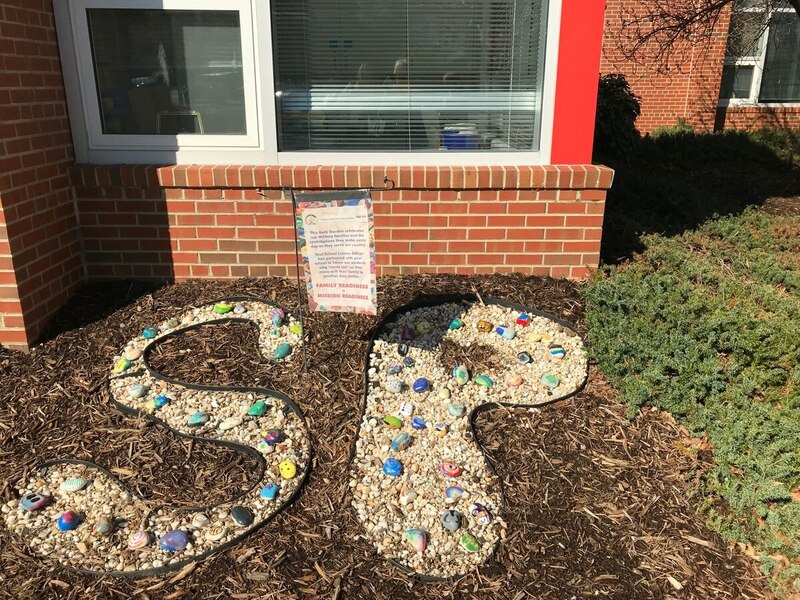 They work hand-in-hand at the school, said Tara Brewer, the school’s principal, whether meeting with a group of children whose parents are deployed, or helping them deal with the death of a pet. The school is also one of 13 elementary schools in the Virginia Beach area that have adopted the Anchored4Life program, which trains students to help new children adjust when they move to the school. Among other things, there are special kits to help them deal with their emotions as they make the transition from another school. Brewer said 40% of the student population transitions in or out of Shelton Park every year. “I know the students at Shelton Park feel safe. They know they’re loved. Because of these two important things, we’re continuing to move our students to a high level of learning,” she said. In Virginia Beach, there are 28 Military Family Life Counselors serving 47 schools, said Karen Phillips, school liaison officer for Joint Expeditionary Base Little Creek-Fort Story. This DoD-funded program provides these licensed clinical counselors specializing in child and youth behavioral issues, commonly known as MFLCs, in schools with significant numbers of children of active duty military. New coalition to advise policymakers on how to give military children the education they need. The school system has created a unique position for the entire system, the Military-connected School Counselor, said Aaron Spence, superintendent of Virginia Beach City Public Schools. The counselor, Amanda Yoder, has been so successful in her six years that they’ve added another position, he said. Yoder, a Navy combat veteran, and her co-worker Star Wiggins work closely with students moving in and out of the school system, helping with a wide spectrum of issues, such as transferring academic credits from one school to another. “That’s probably the biggest need,” Yoder said. They look at each case personally. “We also encourage families to inform us when they’re preparing to leave so they can make some choices” that will help them at their next duty station. They’ve also gotten familiar with the intricacies of other states’ requirements, she said. For example, while oceanography may be a popular course in Virginia Beach, it may not be common or recognized in other areas. Wiggins said they also provide specialized preparatory sessions for high school students and their parents on what educational benefits may be available to them through their military service. First data expected to be reported later this year. The biggest difference for him this time, he said, was Yoder and school liaison officer Karen Phillips — assistance that he had never experienced at another base or state. They educated him on the process and helped put him in touch with what he needed in the midst of their packout, so that when they arrived, the transition was seamless. His youngest son went smoothly from one International Baccalaureate program to the next IB program, he said. School liaison officers are provided by the military at some locations to be liaisons between parents, schools and commands. “The great beauty, hidden secret behind Virginia Beach is the wonderful ladies who do all the hard work for the families, case by case. A lot of families come with special needs. They dig in and really treat you like they’re their kids,” he said. Christi Ham, chairwoman of the nonprofit Military Families for High Standards, said before her husband retired from the Army, her family moved 26 times. Her son changed schools six times, and his older sister, eight times. Twice, her husband went to duty stations without the family, because the schools at those locations couldn’t meet their needs, she said. “I stepped into this arena now, hearing the exact same kinds of stories regarding school life," Ham said. "I said, Something’s wrong here. That was two decades of service, and the same kinds of stories are being heard,” she said, whether it’s the new child struggling with a tutor to catch up to his class, a child having to sit through lessons already learned at a previous school, a child not allowed to try out for a team because he or she arrived too late, a child unable to continue a foreign language because it’s not offered at the new school. Her nonprofit was formed to gather those stories, and “to change the whole opportunity for military families to what’s right for them — what they deserve,” she said. She praised Shelton Park Elementary and the Virginia Beach schools saying, “Right looks like this. This is what we’ve been trying to capture in words to show other people what a school system should do for military kids,” she said.